I’m finally catching up on some spring and summer beer reviews. This was left over from a gift crate of beer that my co-workers got for me at State Line Liquors when I have home sick with the Shingles back in February. I’m not sure what this is going to be like but the fact that it’s a Keller / Zwickel Bier is intriguing. 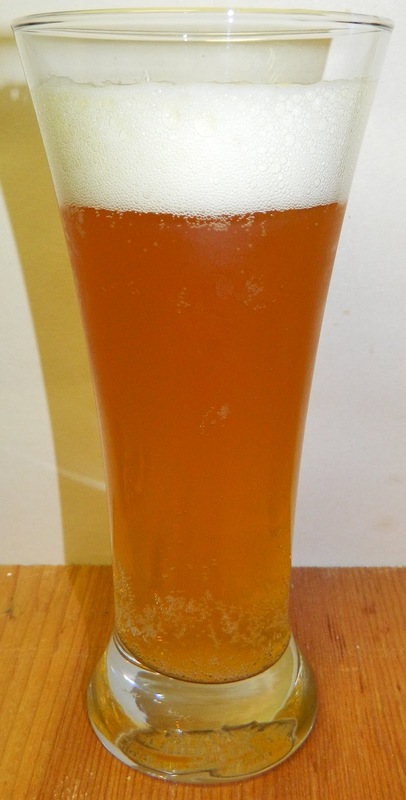 The beer pours a hazy golden yellow with orange hues and a very rich bright white head. This beer is highly effervescent with lots of tiny bubbles rising up from the bottom of the glass. The nose is modest but very pleasant with pale malt aromas with citrus notes. That was a nice refreshing first sip. The taste starts out with a touch of pale malt sweetness up front followed by a cleansing effervescence as the beer washes over the tongue in the middle of the sip. The back-end is extremely easy drinking with an effortless swallow. 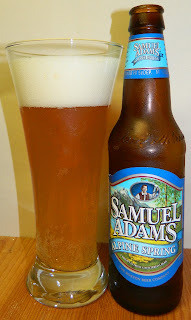 The finish is light and refreshing with pale malt flavors, light floral hops followed by citrus notes. There is very little of a final aftertaste just a hint of citrus. All and all this is a very nice and refreshing experience. The head has reduced but not by much. It has diminished to leave a thick protective cover over the beer and nice lacing on the glass. As this beer warms it’s picking up more fruit sweetness that I did not notice before. There is also a little harshness and a slight earthiness that is coming out as it warms. B+ | Alpine Springs is a very refreshing lager with pleasant pale malt flavors, cleansing effervescent mouthfeel followed by a great finish with light malt flavors, floral hops and citrus notes.